The snow was deep, the crowds small, the temps perfect ... and it was snowing hard. We talked with a ski patrolmen and he said the snow was perfect. According to him they threw bombs all over the chutes and everything held. When we got in there, it was waist deep in most places. Most of the rocks were covered up as well. This moisture is stretching a little too far north for us to see the epic storm conditions that normally happen in a Pineapple Express. Almost all of California is in the 5+ inch range. 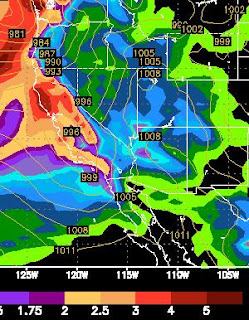 Like I said before many of highest elevations in the Sierra, especially the central Sierra around Mammoth and Yosemite will see 10-20 inches of precip. In our continuing series we will talk about a single storm at a time. Right now there are at least a half dozen storms stacked up and ready to blast Tahoe. In today's installment, I will talk about Tuesday's storm. Before I do, Sunday/Monday's storm, appears to have actually gained strength. 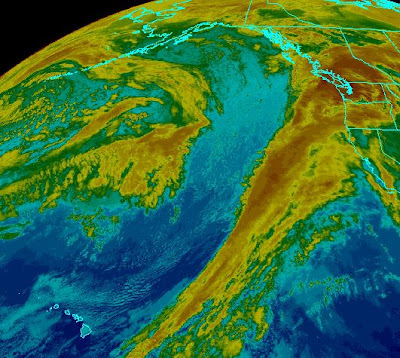 This storm will actually split with half the energy moving into Southern California. The other half will pummel Tahoe. As we can clearly see, most of the Sierra around Tahoe will pick up between 2-4 inches of liquid precipitation. Because the air will be cool, this will translate to between 3-4 feet of snow. That is for the Sierra Crest on the West side of Lake Tahoe moving south. The Carson Range, on the east side of Lake Tahoe, could receive from 1-3 feet of snow. This storm will come in two bursts. The first will be Sunday night starting around 10:00. Then another burst will come in Monday night into Tuesday. The next storm will hit our area Tuesday (1/19), with another on Thursday (1/21). 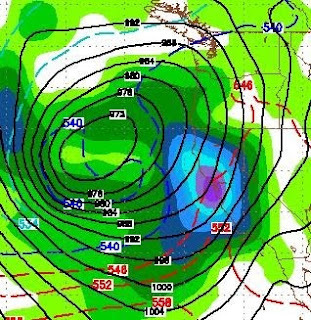 The storm on Thursday looks really impressive. I will talk about these two storms in my next post. First let me say that today's storm has gained strength and moisture. 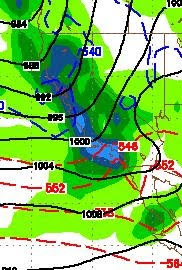 Should be a decent snow event for the Sierra, including the Carson Range. I guess about 18 inches will fall up at Rose. All snow, despite the high levels. This will be all rain for the valley. That should melt most of the remainder of the snow and start to open the golf courses again. Let's talk about next week. If the weather models have it right, this could be the stormiest week I have ever seen since moving here. There are storms literally stacked up for 10 days. Pineapple express? Perhaps. The storm has held together and the conditions are becoming much more ripe for a change in our pattern starting on Monday Afternoon. NOAA has the PNA index moving negative, that is a change. The huge cold front that was blocking everything has moved on ... that is another positive change. 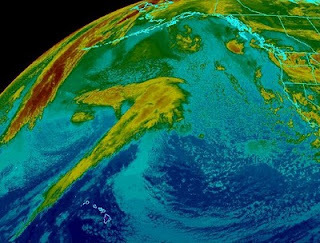 El Nino is picking up strength and should begin to have a tremendous impact on our weather. The majority of this system will be arriving on Tuesday. Wednesday would appear to be the powder day on the mountain. However it should be snowing all day on Tuesday. Snow levels will start fairly high 7,500 feet, and drop as the system moves through. I do not see any valley snow. The models have backed off a drastic pattern shift for next week, however there is a slow shift coming. 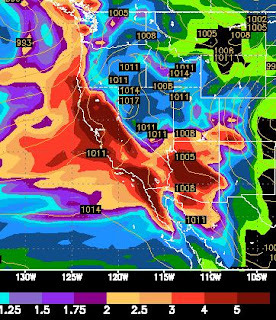 Next week should bring in a pretty decent storm Monday and Tuesday with at least a foot of snow for the Sierra. The bigger shift will come later in the month as a number of indicators should allow the jet to move storms back through our area. If you live in the east, the massive cold front will break down and finally move on. That should open the door for weather to change in our area too. Truly amazing is our current pattern as the massive ridge to the SW and massive storm to the NW have not moved in about 10 days. Everything is just stuck. That should change, but it won't happen for at least another week and probably closer to two weeks. That means crap air for the valley with more deep inversions and weak pockets of energy coming through about every 4 days.